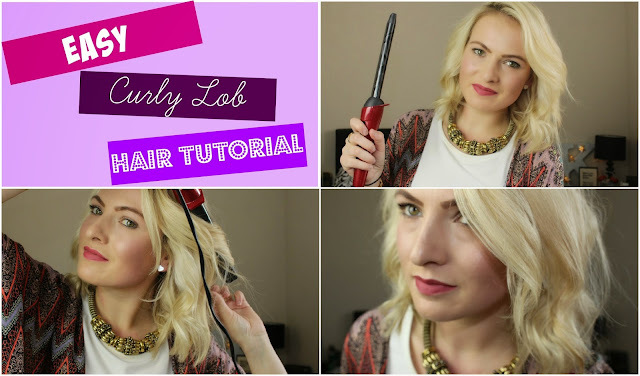 After lots of requests I've finally filmed how I create my messy curly lob! Everytime I upload a photo or video where I've curled/waved my hair I have lots of people asking how I do it and what I use so I thought it was about time I just went and showed you all. I love having shorter hair, cutting it off was the best decision I've made all year. I'd love to know your thoughts on this - tutorials are a brand new thing to me.... it's a little nerve-wracking but I found it so much fun to film! I kinda do the same thing, but my hair is a lot longer and probably a lot heavier so it doesnt end up looking as nice as it does here. Oh well. You look lovely with shorter hair! I love this im really into the "Lob" right now its one of those really nice styles i cut one the other day the girl had like 6/7 inches cut of it was amazing! Your hair is the perfect length! I've been thinking about cutting a few inches off my hair for Summer, you may have just swayed me! All I ever do is straighten my hair so I'd love to give this a go!